Multitalented Canadian vocalist/composer/instrumentalist Romina Di Gasbarro stretches her musicianship to the limits in her third CD release. She weaves together ancient and modern music such as folk, jazz, opera, art song and pop, in both Italian and English, to tell old-to-current cultural and political stories. Other than a few text and musical references throughout, such as from Verdi’s Rigoletto in 1000 (Viva V.E.R.D.I. ), all music and lyrics are written by her with a self-described recurring theme of freedom and control. This is unique music touching on contrasting styles with something for every taste. The opening Cantu is a short almost chant-like vocal solo with nice tonal modulations translated into English from the Sardinian poem by Grazie Deledda. Kings is more theatrical and operatic in nature, with moving string interludes and plucked string sections leading to English/Italian lyrics driving the storyline. Radio-friendly pop song A Place in the Sun features vocal swells and upbeat rhythms. Taranta is a toe-tapping Italian flavoured tarantella-like song highlighted by held notes and detached rhythms. Dramatic English-language ballad-like Bedouin features Di Gasbarro’s enchanting vocals, modern key change modulations and instrumental solos, all supported brilliantly by bassist/producer Roberto Occhipinti. Di Gasbarro sings with a clearly articulated rich quality in her native English and Italian languages. 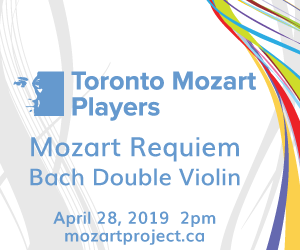 The recording features acclaimed Canadian instrumentalists too numerous to mention here whose performances add to the detailed artistic musical merits of Risorgimento. Jean-François Bélanger is a specialist in period and contemporary string instruments. Between 2015 and 2018 he completed an enduring diptych dedicated principally to the Swedish folk instrument the nyckelharpa. However, unlike Olov Johansson of the Swedish group Väsen and renowned exponent of the three-rowed nyckelharpa, the music created by the Montréalais Bélanger seems to fuse a myriad of musical idioms, drawing from Swedish and Celtic ones, on his single-rowed instrument. The first of Bélanger’s diptych of recordings is Les vents orfèvres, a piercing journey into the interior landscape of the artist’s mind, “dedicated to matters of the spirit,” as Bélanger explains. There is an astonishing variety of music here, from the spine-tingling and airy Ouverture tirée à quatre épingles and Le pensoir with their eloquent silences punctuated only by the sound of the keys as they are depressed, to serve as frets to change the pitch of the string, to the knockabout Suite norvégienne with its highly theatrical and dance-like gestures that closes out this disc. Throughout we hear music-making of great vividness and immediacy; the songs seem to traverse not just time, but also a musical topography infinitely more vast than the relative insularity of the instrument. It bears mention too that Bélanger also plays numerous other stringed and percussion instruments and is accompanied by 12 other virtuoso musicians who play a staggering range of instruments from the Jew’s harp and the Brazilian caxixi to the Indian bansuri and the viola da gamba. The second part of his celebrated diptych Les entrailles de la montagne is infinitely more adventurous. The music unfolds and with it the metaphor of the mountain takes shape. As the disc progresses the music seems to pour out of the instruments in a proverbial volcanic mix that melds opulent orchestral arrangements with a percussive folksy theatre that seems to crisscross the earth’s music. But to describe it as such gives the impression of overcooking when in fact the whole project is a masterpiece of subtlety. Somehow Bélanger’s nyckelharpa appears to give way more frequently to other instruments from his pandora’s box that even includes the sitar and tampuri-swarmandal. Here too, Bélanger is accompanied by 15 musicians plus a string quartet, each deeply attuned to his vision. The surprises, when they come, are effective but discreet: a gamelan-like riff played as pizzicato harmonics and a delicate curlicue of a bass line that sounds like a Gaelic lament and, as in La brouseaille – Chemin de traverse, a close-knit passage that develops from a single phrase. Small wonder that Bélanger received the Instrumental Solo Artist of the Year prize at the 2018 Canadian Folk Music Awards for Les entrailles de la montagne. Barbra Lica is on a songwriting and album-releasing tear. Her fifth CD in six years has just come out and it’s populated by all original songs, almost all written or co-written by Lica. For this album, she travelled to the mecca of American music, Nashville, where she collaborated on songwriting, enlisted players and recorded tracks, all under the tasteful oversight of Toronto bassist and producer Marc Rogers. So while this album is a bit of a departure from Lica’s previous jazzy records, it’s still true to her signature, sunny style. Even when she’s singing about heartbreak and longing, such as in Everybody Else, you need to listen closely to know it, since the songs are so consistently upbeat. Besides Lica’s pretty, lithe voice, guitars are the stars of You’re Fine courtesy of Tom Fleming and Nashville session players Paul Franklin and Wanda Vick Burchfield, whether it’s the acoustic on the opening track Before I Do, which sets the tone for the album with its lovely simplicity, or the pedal steel, dobro and mandolin that enrich a number of the tracks. Heck, a banjo even makes an appearance on one song (Jolie Oiseau)! Joel Visentin’s keyboard work deserves mention as it subtly supports throughout the album then shines on the closing track, When I’m Gone, a lovely lilting number featuring piano and the instrument that’s most dear to this reviewer’s heart, accordion. Aaahh. Canadian multi-instrumentalist Jeff Bird, familiar to many as the harmonica player for the Cowboy Junkies, describes his interpretations of the music of Hildegard von Bingen (1098-1179) as “Man plays 800-year-old music on the harmonica.” And so he does, with passion, clear musical understanding and respect on eight of her sacred chants. Bird also supports his harmonica playing with many other instruments like shruti box and lap steel, with special guest pianist Witold Grabowiecki on two tracks. This is such a rewarding magical listening experience. Bird’s perfect breath control on harmonica emulates the original vocal lines throughout all his contemplative arrangements. The opening solo Lovingly Inclined Towards All is amazing from the start, with nice use of drone and musical touches maintaining von Bingen’s original stylistic aspects. Noble Rupert is given a reflective performance on harmonica and shruti box, as a low drone note supports the lead harmonica lines featuring dynamic held note swells. The Third Flies Everywhere is an intense harmonica/piano duet tour de force as the resonating very low piano notes contrast a detached piano melody, with the harmonica introduction adding new colour. A mid-piece solo piano leads to duet melodic conversations and an inspiring reflective harmonica line against more florid piano movement. Bird’s decades-long passion for von Bingen’s music has enabled him to create a new brilliant sound mix of medieval and modern arrangements for instrumentations that all just work perfectly to the final harmonica closing fade.